The range of showers currently on the market is outstanding and a shower isn't just a shower anymore. Think waterfall and rain systems, think steam and spa, think invigorating, pulsating hydro jets. But, as you consider all these wonderfully seductive options, it's worth thinking about what's best for you, your home and your family. The beauty is that you've never had more choice, so it's a question of decisions, decisions! Designers today are using stunning natural materials, creating flowing new lines and the latest models combine innovative engineering with modern styling. Movable and pulsating hydro jets provide a therapeutic sensation, while some offer a choice of water functions from fine spray patterns to waterfall effects. Even an everyday shower can become a unique experience with a range of settings, including normal and tropical rain, hydromassage body jets and a hand spray. Head into your local Willbond showroom this month for extra discounts on selected showers, shower doors, screens & enclosures, anti-slip trays and even shower wall panels! As well as being stunning to look at, many of today's designs have first class technology on the inside, such as easy clean handsets that reduce lime scale build-up, thermostatic controls which carefully adjust the temperature to suit you, and flow regulators to conserve water. These days, there's really no need to fuss around in the mornings trying to turn the shower on manually and/or adjust settings until you find the right temperature and spray setting. A new generation of clever remote control systems let you simply touch a button before stepping into the shower, to enjoy an instant, pre-programmed and no-fuss showering experience. What a perfect wake-up call! You can see more digital shower remote controls on our Crosswater page here. Moxie showerhead from Kohler UK is a wonderful invention that lets you stream your favourite music, news or radio right in the shower with you. The amazing Moxie showerhead holds a portable wireless speaker that pairs wirelessly with Bluetooth-enabled devices to deliver high-quality audio to your shower. Meanwhile, the revolutionary showerhead generates a full-coverage, revitalising spray of water for a sensory experience. It's easy to install and the wireless speaker pops out for recharging, and then securely pops back in for use while showering. 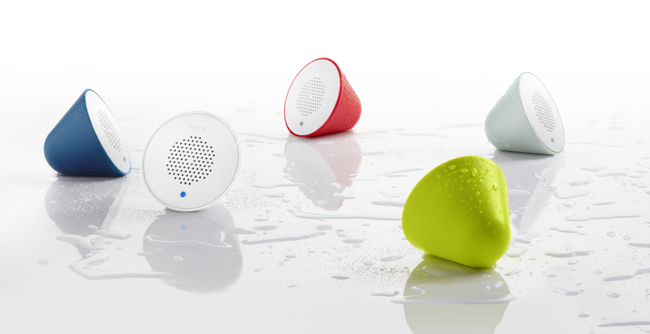 You can even take it with you as a wireless speaker to use in any room of the house, or on the go. Moxie showerheads are available from all of our showrooms. Holidays in Europe, trips to the gym, staying in chic boutique hotels and an obsession with spas and wellbeing could be the inspiration behind the growing desire for walk-in wet rooms in British homes. Whatever the reason, you need to consider whether this wonderfully seductive Mediterranean trend is right for you, your home and your family. With more people overcoming their initial fears about leaks or misconceptions about the need for structural changes, we are witnessing a boom when it comes to this stylish and hassle-free answer to modern, contemporary showering. Instead of a shower tray, you have a waterproof zone with drainage integrated into the floor. Some wet rooms feature a single glass panel or partition to define the wet area; others are completely open plan. 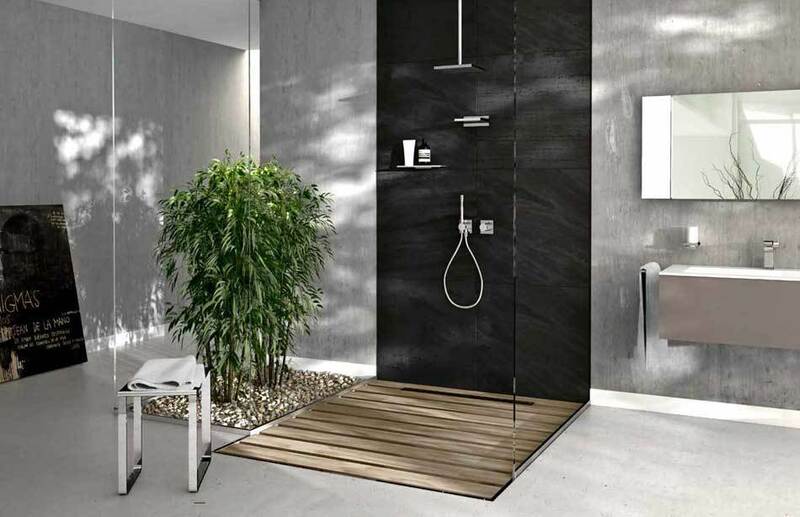 The benefit is that wet rooms offer more space to shower in, often without the restrictions of a shower enclosure or door and are also far easier to clean. Gradient - the floor of the shower area needs to have sufficient gradient to allow the water to drain away without forming puddles. Drainage - the choice of draining system must suit your particular circumstances i.e. gravity or pumped drainage. Waterproofing - a wet room must be securely waterproofed or 'tanked' to prevent unwanted leaks - using a flexible rubberised adhesive membrane gives total peace of mind. Add a stylish and innovative shower to energise, revitalise, relax and invigorate, then all there is to do is get wet in style. Finally, by introducing a wall-hung basin and WC you complete this modern, sleek, seamless wet room look. The shower columns separate-in-line controls also let you decide whether the water goes through the fixed over-head or through the hand shower or body jets. Wet rooms have become both red hot and cool once again offering a tranquil space in a hectic world. Matching your wall material with that of your floor will achieve the sleekest look. Tiles are the obvious choice - ceramic are ideal or alternatively limestone and marble are breathtaking, although more expensive.